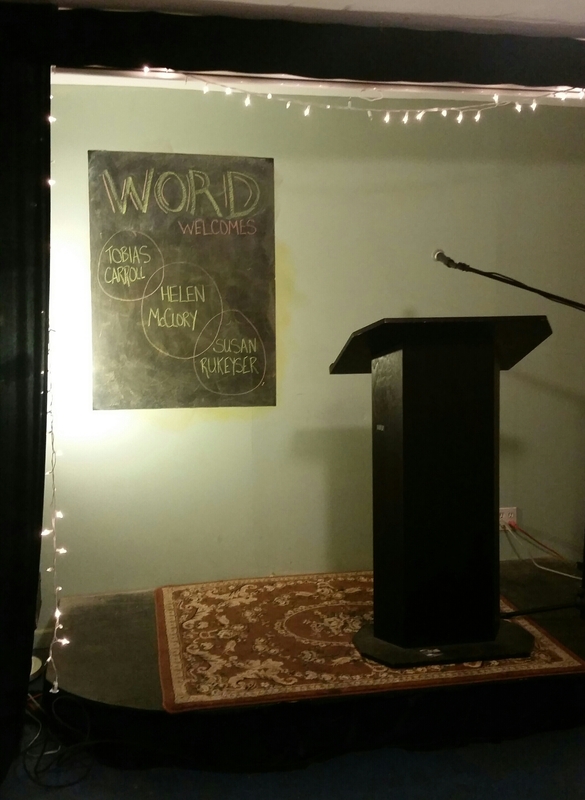 “It’s all happening.” That’s what I thought this past Thursday as I sat in the funky, cozy reading space beneath WORD in Brooklyn, about to read for the first time from my first novel Not On Fire, Only Dying. 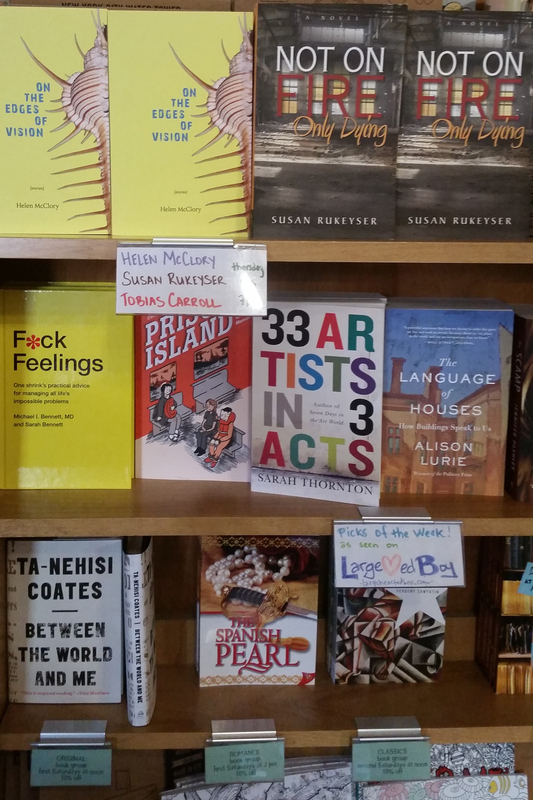 I read with two tremendously talented writers who, it turns out, are also very nice people: Helen McClory and Tobias Carroll. 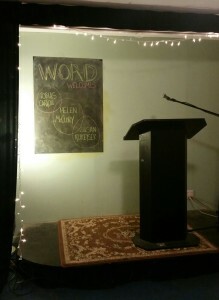 Molly Templeton, WORD’s Events Director, made us feel welcome and appreciated. I arrived in Brooklyn the night before and strolled the blocks surrounding my hotel, breathing in the beautiful filth, the shockingly humid air. I grew up outside New York City and can’t quite describe the longing I feel when I return. It is not my home but it IS. “It’s all finally happening,” I thought, as the space filled with people who had come to hear us read. Not On Fire, Only Dying was a long time coming. Several peers published their first books as I sat on the sidelines, clutching this manuscript, believing this story deserved to be heard, that my characters Marko and Lola deserved to be known. I heard NO in every way imaginable. (Really, one day I will make a cut-up poem of my rejections. I want to count how many times “unfortunately” appears.) The encouraging rejections were the best and worst. I tucked my chin into my chest and charged forward, again and again, until I found the perfect publisher for this book. That’s how life works, I’ve come to see: It will not be rushed. Nothing makes sense except in retrospect. As you may have heard me mention, I don’t love public speaking. But I always knew that if I was given the chance, I wouldn’t squander it. I would do right by my publisher and myself. I’d promote Not On Fire, Only Dying however I could. Last Thursday I remembered that anticipation is the worst part. When you believe in something, when you’ve loved it for years, humble and hopeful: You’re ready. You step up, you speak up. You have fun, even. Late as it is, it’s time. « Sometimes even music cannot substitute for tears.